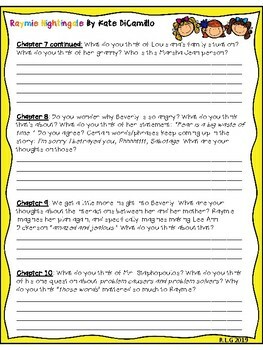 This is a printable student study guide with chapter-by-chapter questions, as well as an end-of-book writing activity. 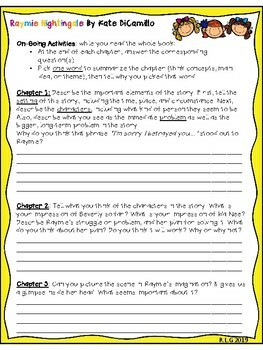 You can give a group of students this guide to use while they read in "Book Clubs" or Literature Circles. 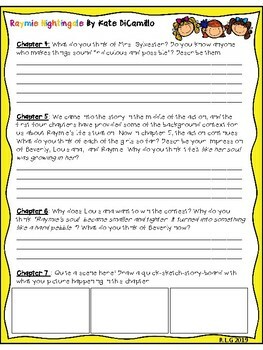 The questions and their written responses can launch their conversations when they meet together. 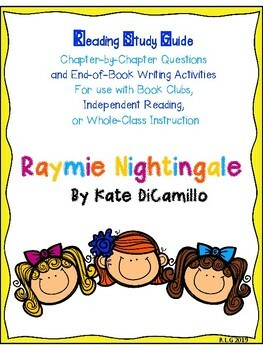 You can also have students use the questions for their Independent or home reading. Additionally, you could use the study guide for a whole-class activity to drive the students' conversations.